Ok, so I was unable to get out today to game ftf, so I set up and played a game solo. 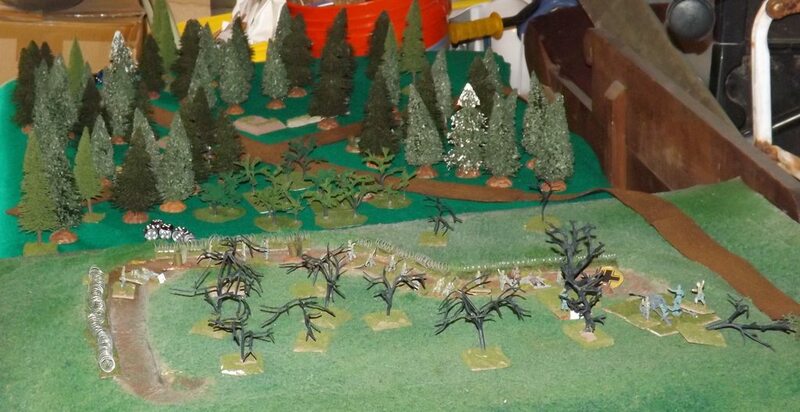 The Germans countered the smoke by playing a CoC dice, ending the first turn after 18 phases. Turn 2 saw the tanks come on sportin' their riders. 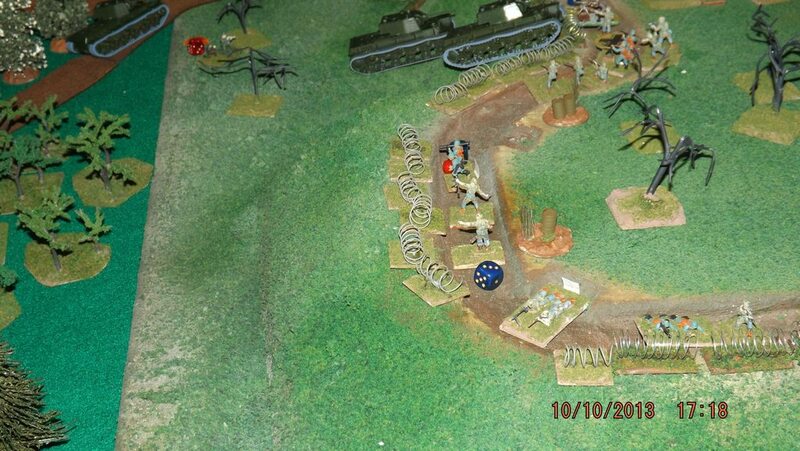 In the first phase, the Pak 40 nailed the lead KV1 and killed 4 of the 7 riders. The Russians shot in smoke again and rammed the tanks down the road at max speed to take advantage of the smoke to close the riders into contact. The Germans earned and played a 2nd CoC dice to take the smoke off, for good this time as the Russians were now occupied with the assault in close. In the mean time, the German squads were firing into the woods, picking off the odd Russian here or there and keeping a steady 1-2 shock per phase on the infantry and tank riders. 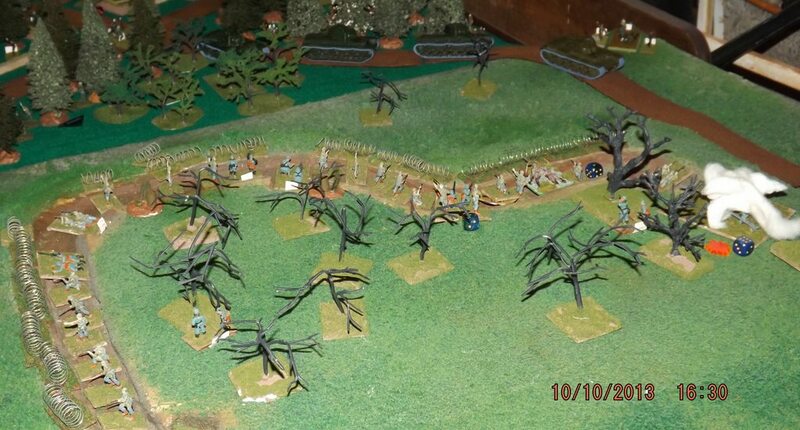 The 'schrek and the 'fausts kept firing, but couldn't roll a hit anything other than trees. Turns 3-5 were more earned CoC dice and using them to skip force morale tests as the firing was hot, heavy and vaguely accurate. 24 Russian dice vs 37 German dice saw that tank rider squad disappear, but the Germans lost 6 and took a FM roll for the lost team. The Russian Regulars followed up and at the end of that close combat the Russian squad was gone, ....but so was the center of the German line including the 'schrek. Next phase of Turn 5, eight, was a Russian go and the KV1s hammered over the wire and in the middle of the German infantry position. As they PGs were in the trenches, I didn't test for them getting over run by the tanks. Not getting the next phase, the Germans shot the lead Russian tank with a 'faust, and did Net+6 hits, causing it to explode and kill one of the MG42 crew, too. 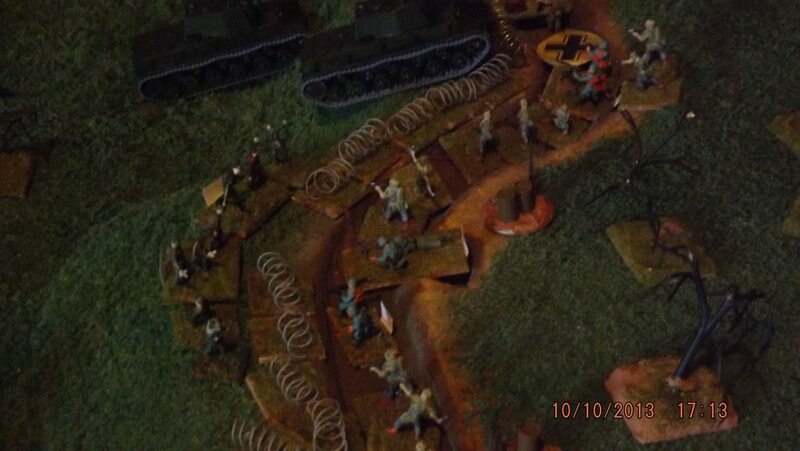 They then shifted the left squad to the center, kicking off another close combat that saw the Maxim eliminated. The Russians won I think, 1 Pzr vs 3 KV1s and 12 PGs vs 25 infantry, the Russians were going to end up taking the position unless the Germans rolled in heavy. The difference between this game and the convention game? 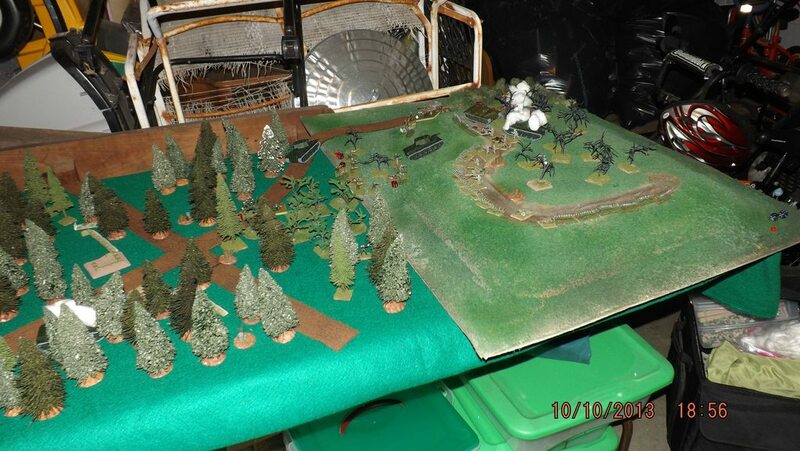 Two major ones: no Panthers for the Germans and the Russians actually attacked rather than hunker down and take 21 dice shots from the PG squads phase after phase. Smoke works, and playing CoC dice to get rid of it causes ALL sorts of problems for the folks counting on it to close in for the attack. 5 turns and 35 phases in about 3 hours. Lots of goodness. 3) Use a d6 to determine whether a CoC gets played, 1-3 = yes; 4-6 no. Matrix game arguments are very helpful for solo play. There are a lot of ways to use them. One thing you can do is use them to decide how a leader will react (based on their Platoon Forward stats). Smoke. The only reason the Russians succeeded is because they shot smoke from their off-table mortars. It stayed on the table just long enough to get the bulk of the tanks and tank riders into "charge" range without taking an inordinate amount of casualties from the 21 firing dice PG squads. On the other hand, the Germans playing CoC dice to end the turn and remove the smoke made the game last at least 2 turns and 15 phases longer than it would have otherwise.